The Second edition of ‘Elektronické účetnictví’ (2017) was once again about accounting digitalization. Lecturers were also mentioning everyone´s ’favourite’ coming soon regulation called GDPR and its impact on most companies. 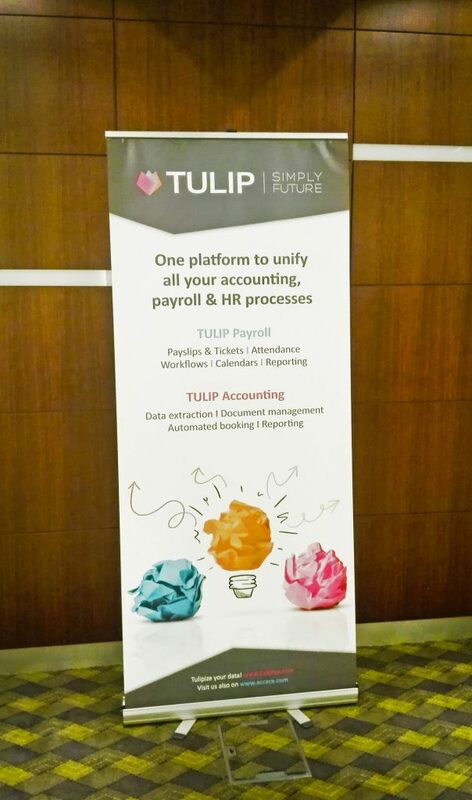 The Conference was hosted in Prague on the 12th of September 2017 and TULIP was once again a general partner for it. This time, we had double the number of attendees and our colleague Veronika was a first time speaker and she managed it excellently :). The Conference was focusing on how to manage electronic accounting and how to balance legislative requests and real life accounting digitalization experiences. 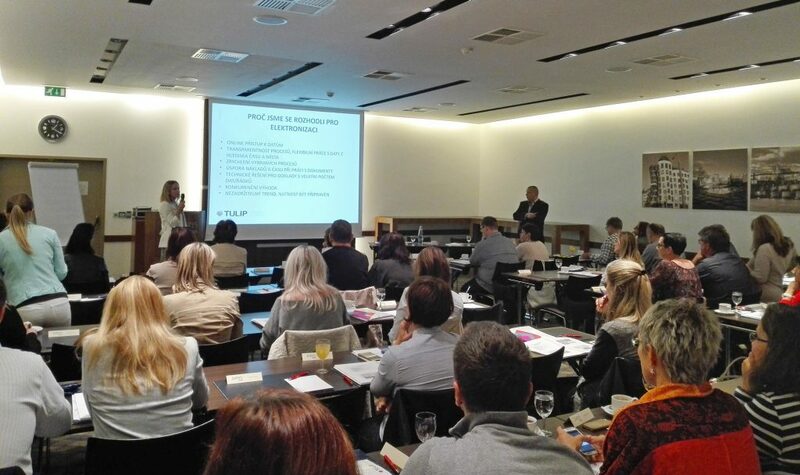 The legislation part was handled by tax accounting consultants. Company life and experiences were presented by us, TULIP. The Conference was separated into 4 blocks. Parts 1 and 2 were led by MVDr. Milan Vodička, as it was last year. The main focus was on the laws that reflect eAccounting, accounting archive repair and document archiving rules. He also mentioned that one of the digitalization effects is its ever increasing importance in some professions – today; IT specialists have more responsibilities and greater importance on their work duties, sometimes on the same level as law endorsement professionals. The Czech Republic is also getting ready for changes that will come into force with GDPR. The Czech Republic is already in a good way, thanks to the laws that focus on protecting personal information. But GDPR comes with stricter requirements and huge sanctions for breaking them. Therefore, GDPR will replace the current Law on Protection of Personal Data. After lunch, the focus was on practical experiences that companies have with accounting digitalization. TULIP was represented by Viktor Mečiar and Veronika Jaňáková. They explained why nowadays, accounting digitalization is a necessity for companies and it will bring many advantages. But the goal was not only to promote positives. While digitalizing, we have faced many problems and every company that considers digitalization should know the risks. That was the reason we described ours, along with our solutions. The best way of showing some examples, was as a case study presentation of one of our clients. The final part was led by Ing. Zdeněk Burda and he returned to tax legislation: coordination with the financial bureau and the questionable requirements made by government. Mr. Burda gave lots of practical advice to the audience when answering their questions. At TULIP, we were once again very happy about the conference´s organization led by Verlag Dashöfer. The audience is always eager to learn new trends within eAccounting, nobody wants to have bored people at the event, neither do we :). So, if you´re interested in this topic, contact us and ask us whatever you want or come to the conference next year. Do you want to know the details of document digitalization processes? Or data extraction? Let´s talk! Previous Post Come with us to Prague´s “Elektronické účetnictví 2017” conference Next Post How do we use Microsoft Dynamics NAV in TULIP?